Salman Khan who will next be seen in Ali Abbas Zafar’s Bharat was rumoured to be a part of Yash Raj Films’ successful franchise Dhoom 4 but the deal fizzled out because our sources exclusively informed us that he did not want to share a single frame with Abhishek Bachchan who has been a part of the franchise since day one. 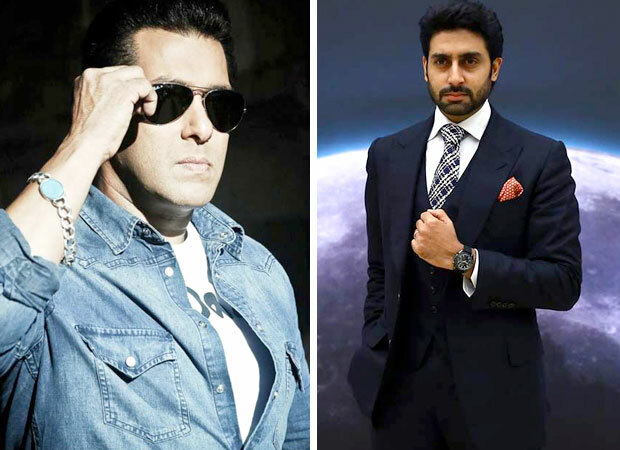 We all know Salman Khan and Abhishek Bachchan share a history and therefore understandably it is tricky to be paired with him in the film. But this does seem the only reason why Salman has walked out of the film because he spoke in a recent interview that he is not okay playing a villain on screen. Salman Khan further elaborated that masses blindly follow their heroes and judge them by their antics on screen. Therefore, he wants to be responsible enough and give a good message to his fans. He further explained that he does not want people to blindly copy him and indulge in wrongdoings. Earlier too he had addressed the criticism that he does not do enough meaningful films. Salman’s retort to this point of view was that though his films are commercial, they contain big messages for his audiences to always walk on the right path. Currently, Salman is shooting for Bharat with Katrina Kaif, Disha Patani, Tabu, Jackie Shroff, Sunil Grover, Nora Fatehi, among others. He also will be seen in the latest season of the controversial reality show Bigg Boss 12 which is set to start from September 16 and the theme for this year’s Bigg Boss is Vichitra Jodi. Contestants are set to enter as couples and there will be a mix of common and celeb candidates. Bharat schedule for Salman Khan after Ganpati Bappa which will be celebrated at Aayush and Arpita Sharma’s residence this year! Katie Couric Can Dish It Out, But Can She Take It?